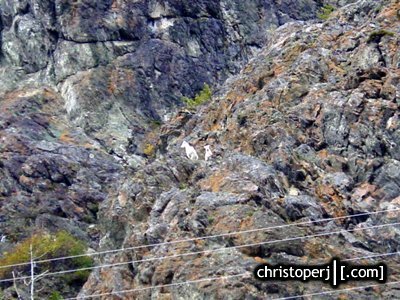 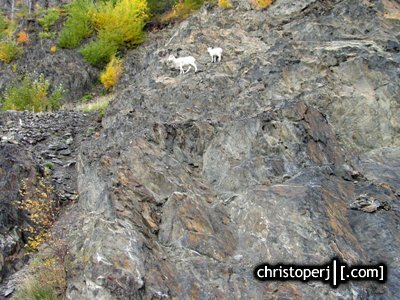 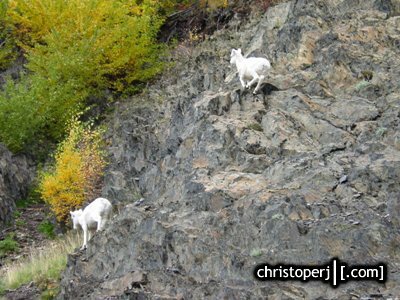 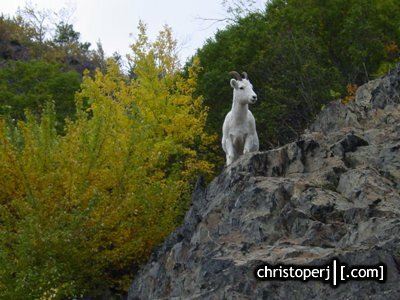 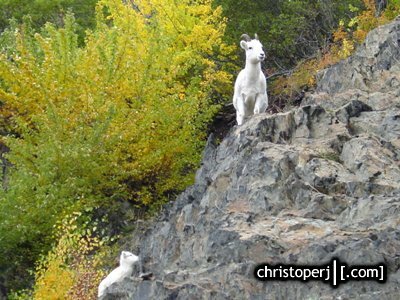 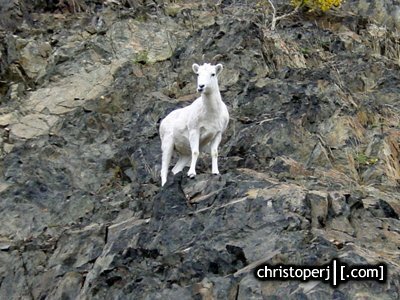 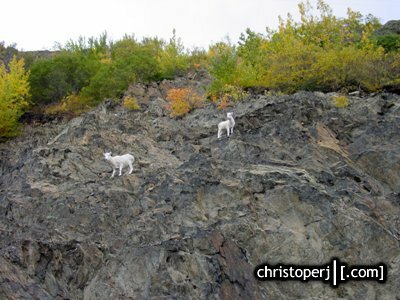 On the cliffs above the Seward Highway AK-1, a couple of mountain goats from Chugach National Forest were watching traffic go by. 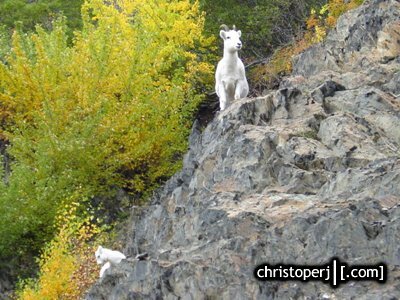 . .
. . .his kid came up from around the corner. 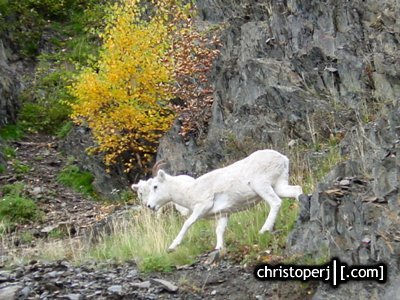 . .
. . .the girlfriend. 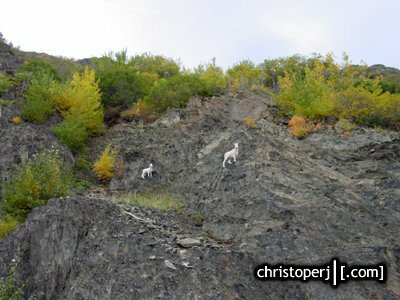 . .
. . .this was about the time that another driver with a camera came to a sudden skid stop and spooked the goats. 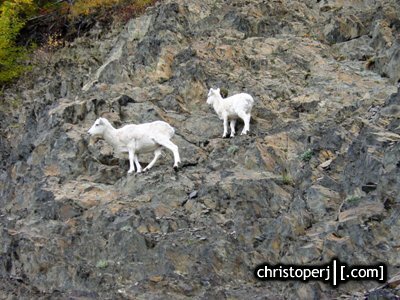 . .
. . .to higher ground they went. 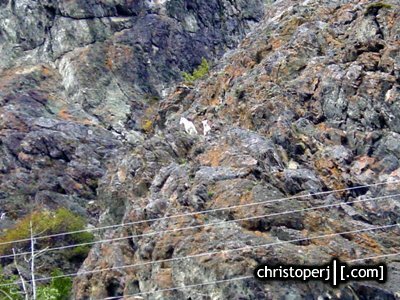 . .
. . .they were several hundred feet up at this point.